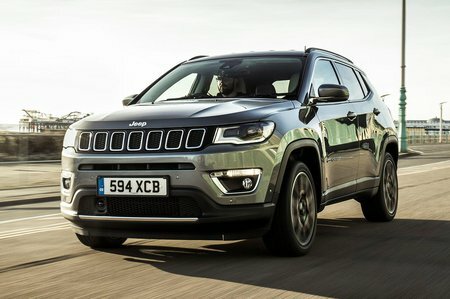 Used Jeep Compass Review - 2017-present | What Car? What's the used Jeep Compass 4x4 like? The original Jeep Compass was a solid workhorse with the sort of looks only its mother could love. It was launched in 2007, but by 2011 the US firm had decided to spruce it up with a facelift and some underskin tweaking that all hinted at the larger and more stylish Grand Cherokee model. For this second generation version, Jeep really upped that style factor, so much so that it now manages to combine a healthy dose of sophistication with its muscular off-road 4x4 butchness, the better to sweep up new family buyers drawn by its looks. It sits in the Jeep range between the smaller Renegade and the larger Cherokee, actually sitting on a stretched version of the Renegade platform, but you need more than a recognisable name and a rugged handsomeness to succeed in the competitive SUV world, which offers cars in all shapes and sizes and even in forms to fit all budgets. There’s a good range of engines, to further its case, and the option of either front-wheel drive or four-wheel drive. Petrol-powered Compasses kick off with a 1.4-litre unit in two power outputs, and diesel-powered ones offer a 1.6-litre diesel and a 2.0-litre engine, once again in two differing outputs with 138 or 168bhp. Trim-wise, there’s something for everyone. In terms of kit, the entry-level Compass Sport comes with a 5.0in touchscreen is as standard, along with Jeep’s latest UConnect system. The touchscreen is bright and responsive, but not quite as intuitive as the best in class. Up the ante to the next trim up, Longitude, and you’ll get better value. The wheels are an inch smaller, but included as standard are a reversing camera, Apple CarPlay and Android Auto, the larger 8.4in touchscreen and dual-zone climate control. Limited and Trailhawk models also get the larger 8.4in screen, as well as larger alloys and more luxurious interiors. On the road, the Compass is a mixed bag. It’s unsettled by slight road imperfections and never feels truly comfortable. It pitches heavily and rolls in bends, too. Its steering is light and incredibly vague, making accurate or fast driving a matter of faith and trust. None of the various engine options makes the Compass feel particularly quick, and nearly all of them are remarkably unrefined. Countered against all this, the four-wheel drive versions of this car are all pretty good off-road, and easily capable of traversing muddy fields, broken-up country lanes and grassy knolls. 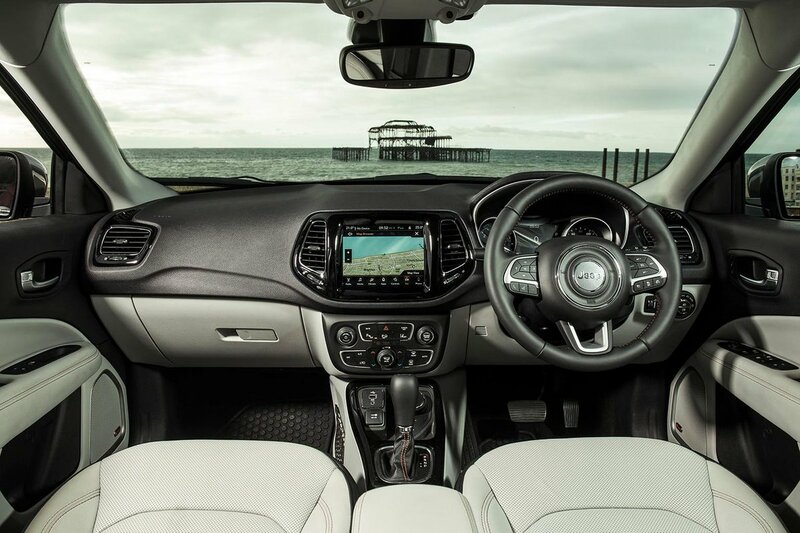 Inside, there’s a commanding driving position set high, with plenty of adjustment in the steering wheel and seat. The dashboard layout is a little cluttered and confusing, though most of the functions are now controlled through the touchscreen. Unfortunately, some interior materials feel cheap and the fit and finish generally isn’t a match for rivals. Space up front is plentiful, and so it proves to be in the rear, with masses of leg room and good head room. Three can be sat side by side for shorter journeys, too, without much discomfort. The boot has rather a large lip at the entrance, and is quite narrow due to the wheel arches intruding. However, there’s a reasonable amount of space, and there’s an adjustable floor too, which is useful.